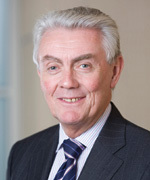 Dr Richard Ward joined as Chief Executive Officer of Lloyd’s in April 2006 and sits on the Council of Lloyd’s and the Lloyd’s Franchise Board. Lloyd's is the world's leading specialist insurance market providing insurance services to businesses in over 200 countries and territories across the globe. Richard previously worked for over ten years at the London-based International Petroleum Exchange (IPE), the second largest energy trading exchange – re-branded ICE Futures – as both Chief Executive Officer and Vice-Chairman. Prior to the IPE, Richard held a range of senior positions at British Petroleum (BP) and was Head of Marketing & Business Development for energy derivatives worldwide at Tradition Financial Services. Between 1982 and 1988, Richard worked as a Senior Physicist with the Science and Engineering Research Council, leading a number of research and development projects. He is a Council member of Heart of the City Charity and a Board Member of the Geneva Association the leading think tank of the world’s largest insurers and reinsurers. Richard has a 1st Class Honours degree in Chemistry, and a PhD in Physical Chemistry from Exeter University. He is married with two children and lives in London. Prior to joining McKinsey he was (from 2001) Chief Adviser on Delivery to the British Prime Minister, Tony Blair. As Head of the Prime Minister’s Delivery Unit he was responsible for the oversight of implementation of the Prime Minister’s priority programmes in health, education, transport, policing, the criminal justice system and asylum/immigration. 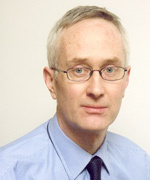 Between 1997 and 2001, Michael Barber was Chief Adviser to the Secretary of State for Education on School Standards and prior to joining government was a Professor at the Institute of Education, University of London. His advice on public policy, especially education, has been sought by governments in over 30 countries including Australia, the USA, Russia, Estonia, Chile and Malaysia and by major international organisations including the OECD, The World Bank and the IMF. Barry Bateman is Vice-Chairman of Fidelity International Ltd.
Mr. Bateman joined Fidelity International in 1981, initially to run its UK sales and marketing operations and taking over managing the UK business in 1986. In 1991 he became President of Fidelity International, and has been responsible for all of Fidelity’s business and investment management activities outside of the Americas since that date. He was appointed to his current role of Vice-Chairman of Fidelity International in 2001. Mr Bateman started his career in the investment industry in 1967 as an investment analyst at stockbrokers Hoare Govett, becoming Research Director there and then helping establish Datastream as a separate company from Hoare Govett as its Marketing Director in 1975. Born in 1945, Mr. Bateman received a BA degree in Economics & Economic History from the University of Exeter in 1966. He is a member of the University of Exeter Business School Advisory Board and is a Trustee of the St Paul’s Cathedral Foundation. He is a past Chairman of the Association of Unit Trusts and Investment Funds and former director of the Investment Management Association. From 1998 to 2002, he was a member of the UK Financial Services Authority’s Practitioner Panel. 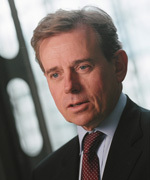 Mr Bateman was also a director of COLT Telecom Group from 1996 to 2007 and Chairman from 2003 to 2007.